The vast size and incredible diversity of Australia ensure there’s something for every style of solo travel. 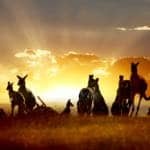 From the unforgettable night skies of the Outback, Aboriginal culture and rainforest to teeming reefs and glittering cities, join one of these escorted group tours for a solo-friendly taste of Oz. Welcome to Australia – larger than life wildlife, vast landscapes, turquoise waters and pristine reefs, to name just a few of its draws. From wine tasting to whale watching, snorkelling to island-hopping, this island nation truly offers the most diverse experiences. Join one of our escorted tours for the best way to discover more about Australia. Travel in comfortable air-conditioned coaches, generally with no more than 46 seats, and enjoy first class accommodation each evening, from luxury hotels to working cattle stations. The age range is wide but generally over 50 years. Choosing the right tour for you will depend on your interests and available time of course – our expert sales team can help you identify the right tour for you. Here are some of the most popular trips. 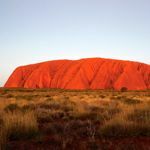 Sunset at Uluru, dining under the stars at a cattle station, a hike around the Kings Canyon, a sunset cruise in Darwin harbour and a visit to the Royal Flying Doctor Service are highlights of the ten-night Outback Adventure tour. The ten-day Untamed Kimberley tour explores the Northern Territory from diamond mines to ancient rock murals, down time on the beach to a cruise on the Katherine River. 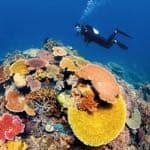 Always dreamed of snorkelling on the Great Barrier Reef? East Coast Islands & Rainforest is the trip for you. You’ll enjoy time on the amazing Gold Coast, Fraser Island, Hamilton Island and Lake McKenzie – and did we mention the chance to go snorkelling or even diving on the Great Barrier Reef? If you have more time to spare, the three-week Highlights of Australia & New Zealand is a show stopper, taking in highlights of both countries in one amazing tour. On many of our tours, we will arrange for you to share a room with a fellow solo traveller of the same gender (with no supplement). If we fail to find a suitable match we will provide you with a single room at no extra cost. If you would like to add on some time to travel independently, or would rather travel solo throughout, our team can put together a tailor made itinerary just for you. 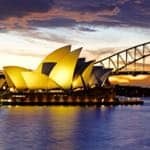 Find out more about our escorted tours in Australia.